From 480 to 400 to 490 to 610 my journey. Appearing for the fourth time wasn't easy. After the previous unsuccessful attempts, it was devastating, took a lot of courage and a lot of support from my husband and family. They believed in me and had the confidence that I could kill the beast (that's what GMAT was for me). I have done a Post-Graduation in Finance from India; worked with CRISIL (India's premier credit rating agency) and settled in USA after marriage. I was among the 3 candidates from 250 to be chosen for the job in CRISIL. Writing this not to boast but just to let know that an exam is not a replica of a person’s capabilities and how to handle rejection and stand up after breaking down completely. GMAT taught me that, never imagined would have to give a fourth attempt, when have excelled at everything else in life. I know 610 isn’t as good as 700 but for me it is an achievement, the much needed success to get back the belief in myself. I am writing this post for people who are strugglers like me and are thinking what next? Or what is it that I am not doing right? Why me? Trust me, I asked these questions to myself every time and finally I was able to answer them. I appeared on 11th July, 2013. On the exam day, I was a nervous wreck and was scared to death. Just didn’t want history to repeat itself and there it was a blessed 610 - 40 in Quant and 34 in Verbal. Finally, the hard work paid. I was so happy to see a 34 in verbal as it was the section that gave me the wonderful 400's everytime. I thought I was good at English but GMAT changed my perspective. Never was I able to get above 20. For the 34, I would really like to thank e-gmat verbal prep and the downloads on gmatclub. Took it 20 days before my exam, after I contacted Rajat, asked him what would be the best option and when my husband finally took the decision for me as I wasn't ready for taking up a new course just 20 days prior. But e-GMAT really helped me gain a lot of confidence in my weakest section. The course that they have is structured very well. It really makes you see details that you have not seen. It is truely said, that what you see is what you remember better then what you read. E-Gmat follows this. I finished all the videos of SC, RC and CR within 13 days. They also have practice files (were really helpful). For SC: The SC videos are just too good. 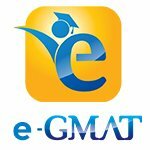 I was always good at SC but the e-gmat videos helped me to understand the intricacies and gave a few shortcuts that really helped during the exam. For the first time I was able to look at the question know whats wrong and mark the answer straight away. Saved a lot of time. It basically showed me how to find the mistakes and how to correct them without even looking at the choices. Something I was not able to do in my previous attempts. For CR: I hated the inference and the assumption questions. Thank god I didnt get any on the exam day but e-GMAT made these very simple. I used to always get confused between two answers and invariably mark the wrong ones. I know many people face this, but the course I took thought me how to not choose the wrong answer and how one word in the choice can make it incorrect. E-Gmat has a process called pre thinking, I wasn't able to master it due to shortage of time but in some questions during the actual exam it really helped me to mark the answers as I could pre think them. For RC: This was my biggest problem. But again the videos of E-Gmat helped me a lot. They thought me how to take notes, what kind of answers can be for the questions asked and again how to pay attention to each and every word in the choices. For example: if there is a passage on: cure of some diseases and in one of the answer choices they say cure of all diseases you eliminate that choice. It is very obvious that you would do that, but GMAT has a tendency to frame answer choices in a way that makes you mark the wrong one. I did that and I am sure many would be able to relate to this. Apart from the e-gmat videos I also downloaded all the 700+ files from the gmatclub free download areas. These also helped a lot in my practice, and helped me get better. My first attempt was on 29th May, 2012 I was confident and thought could get a 600 easily, but I ended up with a 480. I did not take any classes, downloaded materials from websites studied from Kaplan (which was not helpful at all). The first time material wasn’t right and I took it rather lightly. The University I was applying to said it would give me a chance to appear again. On 2nd July, 2012 I retook the test and scored a mere 400. I was devastated and lost on the admissions. I decided that I not going to try again, but being on an H4 visa and having no plans to go back to India did not leave me a choice but to reappear. Analyzing on why I scored 80 points lower I realized that I was scared, under time pressure and focused too much on marking the right answer rather than focusing on the questions and answer choices. Third attempt: This time I went as far as going back to India taking classes and appearing there. But the classes I took concentrated more on quant then on verbal (which was my weakness, quant was never that much of a problem), they gave me a lot of tests which I started appearing for one week before the exam. My performance on the tests was average I scored a 600-640. Thinking that this time I will atleast get a 600 I went for the GMAT on 17th January, 2013 was very nervous during the exam and was really scared for verbal...I ended up with a 490. I was in tears and lost all my confidence. Didn't know what had happened. After coming back from India, now I had taken it on to myself. I had lost all my self - respect and my ego was hurt badly (don’t have a big one but ya do have a lil ). I told my husband that this time I am going to fight it and get over with it. In my previous attempts I was scared, under pressure, lacked on confidence and was so focused on marking the right answers that it resulted in bad performance. Also, the material for the first two attempts was not upto the mark. Studying smartly is very important. When I went for the fourth attempt although I was scared, I was confident and this time I took each question as it came being more focused and well versed with the basics and the intricacies, with smarter and better practice. After the score I had applied to two universities and got an admit from both with a scholarship from one. Have made my choice and now will get out of the nightmare of being on H4 and lead an independent life. Congratulations. Appreciate the sheer determination that led to a 130 points increase for you. Congrats Ayesha on achieving your goal..Wish you all the best ..
Congrats on your score..which school are you choosing? Congrats!!! on the great improvement! How many mock exams did you take? What was your timing strategy for Verbal section? This is indeed great improvement. Anyone would appreciate your spirit of not giving up. I read your post today and couldn't help but reply. Firstly, Congrats!!!!..... I know exactly what you are talking about as i have gone through a similar journey. I gave my GMAT 4 times.. in my first attempt i scored a 470, second and third : 570. I was so depressed and upset. Everyone kept telling me that you need at least a score of 600 plus. I was really low on confidence and didn't know if i should give it the fourth time. I felt exactly how you have described it. I saw that for a lot of people getting a 650 is not that difficult, but for me crossing a score of 600 has also become a big challenge. Luckily I came across the e-gmat course, and I have to say that really helped me pull my verbal score from 21 to 31. It was an eye opener for me, and I realized why i was screwing up in my verbal section. Finally, I managed to score a 620 in my fourth attempt. I know its not a very good score, and I still hear people saying that you should give a 5th attempt. But I really don't know if I should. But, after hearing your story, I now feel more confident of getting admissions at schools. Hi Ayesha, great post. Congratulations on your success. am sure your hard work is paying off now. I would appreciate your guidance n some help regarding my preparation for gmat. I took GMAT classes from Jamboree last year and took the exam earlier this year in February and scored 470 (though I was getting around 650 in GMAT prep mocks). I am preparing again and have around 30 days window to appear for GMAT. I am particularly lagging behind in Verbal. I am studying Manhattan SC CR books and practicing questions from GMAT Club topic wise forum. I dont have any trick for RC and this is the reason my RC is really terrible. What would you suggest me at this point of time? Should I go for any compact GMAT preparatory course? Any suggestion/guidance will be highly appreciated. To start, the other posts in this thread are almost 3 years old, so it's likely that all of those posters are long gone. When the types of score drops like the one you experienced occur, the two likely "causes" involve either something that was unrealistic during practice or something that was surprising (or not accounted for) on Test Day. 5) Did you ever take a CAT more than once? Had you seen any of the questions BEFORE you took these CATs? 4) Did you ever do ANYTHING during your CATs that you couldn't do on Test Day (pause the CAT, skip sections, take longer breaks, etc.)? - no, I followed gmat prep software break guidelines. Took all the sections one by one. 5) Did you ever take a CAT more than once? Had you seen any of the questions BEFORE you took these CATs? No,I never repeated any cat. Questions were mostly different except one or two. Congratulations on your score and geeting into the school you applied! I am going through something similar... I actually am an engineer and thought Quant would be easy for me... but then I got my score...440! I felt so embarrased! I have also always excelled in everything, so I (and everyone else) expected much more. I really (really !!) appreciate your post, knowing that I am not the only one in the GMAT Club that does not score over 600 in their first attempt, and also knowing you can get there!!! "I know 610 isn’t as good as 700 but for me it is an achievement, the much needed success to get back the belief in myself." Ayesha has graduated. Please click here to know more about her. Great Debrief. How did you manage to improve on the RC? Taking notes is surely helpful but if you write them down they take way too much time. Could you please elaborate on how you prepared specifically for the RC? My accuracy on the RC is around 20% and it kills my verbal score on the practice CATs. Also I take way too long to solve them.